Adlee Viola Carey was a gospel artist who began singing solos to God Almighty in the name of our Lord and Savior Jesus Christ after a miraculous healing from a six year illness. The healing of Viola Carey was wonderful. As a result, she called two God fearing gentlemen, Dorsey Clayborne, Robert Greene, and three ladies in Christ, Lula Davis, Dora Lee Butts, and Rosa Wright to sing with her. Because of many programs to fill, she organized two a cappella groups, the Silver Four Quartet and the Sparkling Four Quartet in the 1940s. The Sparkling Four Quartet sang traditional selections such as “Wade In The Water” with a unique and perfect harmony. Their rich melodious voices were recorded in the mid 1940s. She rearranged the songs to agree with the beautiful voices in her singing groups. Viola Carey loved to help people less fortunate than she was. She entered the medical profession as a nurse, she would pray for some of her patients, and they all would immediately recover from their illnesses. She was a saintly lady of great faith. But singing to the Lord was her special calling. Viola Carey was further inspired to sing gospel music when she heard several of the gospel recording artists; therefore, she gathered a selection of new members. Viola Carey had many friends that offered encouragement. Beatrice Hobbs was a singer and a friend who offered great encouragement to her, but she never appeared on concerts with the group. The original group practiced a few years before making their debut. When James I. Hicks was a child, he named the original group the “Seven Seals” based on the fifth chapter of Book of the Apocalypse. 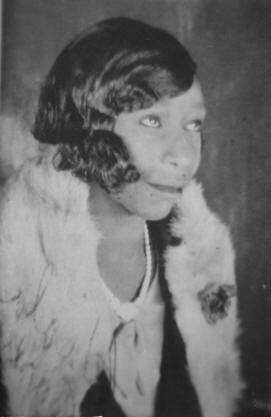 Viola Carey became the founder and organizer of the Seven Seals Singers of Newport News, Virginia. She rearranged several of the songs that the Seven Seals Singers would perform. The group was under the musical direction of James I Hicks. She maintained the lead-switching style used by her quartets to a more exciting and emotional heights. She could lift her voice to a highest range of soprano and continue to a rich and lower soprano without losing her melodious equilibrium. The original array of Seven Seals Singers to sing with Viola Carey and James I Hicks were Carrie Mae Roberts, Clarine Vinston, Sallie Hall, Deane Batten, Alice Batten, Marie Banks, Maggie Gay, and one of my brothers Walter. Later Emma Moody-Foster, Delphine Wells, Rose Denson, Ruby McDowell, and Dora Lee Butts joined, when Sallie Hall, Deane Batten, Alice Batten, Marie Banks, and Walter resigned. When Emma Foster and Delphine Wells promised to appear they were there on time and a great inspiration. The "colorative", operatic soprano voice of Emma Foster singing her special arrangement of "Come On Jesus, My Jesus, Your Jesus, He's Everybody's Jesus" and the "chime-bell" like voice of Delphine Wells have been unique discoveries. Viola’s sister, Annie Batten was the receptionist; she was very busy taking calls and tentative appointments. Annie Batten often offered her positive critique for the group in sound, appearance, and action. She was fantastic! Viola Carey and the Seven Seals Singers shared the stage with Clara Ward, Gertrude Ward and the Famous Clara Ward Singers, Professor Alex Bradford and the Bradford Singers, Swanee Quintet, Five Blind Boys of Mississippi, Five Blind Boys of Alabama, and many others. The beloved Mother Gertrude Ward always called Viola Carey her “Special Guest”! The second array of Seven Seals Singers was, Lillie Harrell, Barbara Phelps-White, Mary Mason-Richardson, Lila Clark, and Patricia Mason. During the last several weeks of Viola Carey's life, Ellen Louise Morris-Johnson faithfully assisted her with medical care. With this assistance, it was easier for her to appear on programs. After she made it to a program, strength came from the Lord. Viola Carey wanted to do even more for the Lord. Her desire was to please the Lord all the days of her life. Viola Carey passed on Friday, September 21, 1962. Many people considered her as one of the best gospel artist. All of the finest singing groups, prominent ministers of all faiths in surrounding areas, and several thousand fans paid their last respects to her. Lillie Harrell was the most faithful during the last years Viola Carey was living and after saint Viola passed. She is the artist that people generally remember with her mid range soprano lead to instantly insert a rich ‘feminine growl’ and reach an octave high that surpasses others. Lillie Harrell and James I. Hicks would fill programs alone many, many times. We would completely curtail other activities. We love the Lord and we love to sing to His glory and praise His Holy Name. The third array to sing with James I. Hicks was Elsie Perry, Pauline Jackson, Minnie Newby, Delores Reese, Hattie Wilson, Patricia Webster, Edith Grimes; they were dependable. 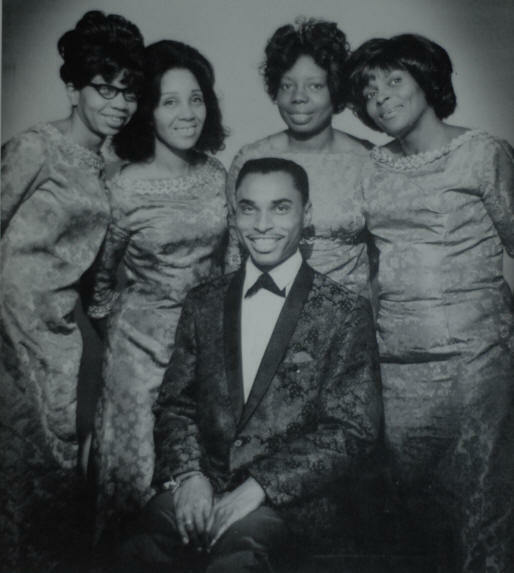 James I. Hicks and the Seven Seals Singers have toured New York City and many southern cities; Delores Reese, Barbara White, Minnie Newby, and Emma Foster were unique singers! The very rich contralto voice of Delores Reese will never be forgotten. Minnie Newby and Delores Reese are deceased. Most of the members of the original, second, and third arrays were faithful, but every member in each individual array was not together consistently. All of the members were experienced and dynamic singers. Without hesitation, Edith Grimes, Barbara White and Lillie Harrell became very faithful with James I. Hicks in the middle and later 1990s and the early 2000s. The soul-stirring contralto lead of Barbara White and the harmonious alto voices of Barbara White and Edith Grimes have been beautiful assets to the group. During the years, many people have given their lives to God Almighty through the witnessing and gospel singing of Dr. James I Hicks and the wonderful Seven Seals Singers. The fourth array to sing and offer praises with Dr. James I. Hicks are Lillie Harrell, Edith Grimes, Shikita Jones, Trina Foster, Siletta Foster; plus the instrumentalists, bass, pedal harpist, and drummer. The Apocalypse is the revelation of the events of the past, present, and future from God Almighty given to Jesus Christ the Lamb to make known to His servants through His angel to His servant John. There are much purpose and specificity in the Book of Revelation that the Lamb has opened to us very perfectly. Revelation 6:1-17 reveals the beginning of the day in which the Lord's judgment will be poured out on the earth. Revelation 8: 1-7 reveals the silence in heaven with the opening of the seventh seal, and the anticipation of the seven trumpets and the sounding of the seven trumpet judgment. Only the Lamb, Jesus Christ can break off or open (reveal or loose) the Seven Seals. Jesus Christ, the Lamb has already provided revelation of the Seven Seals as recorded in the book of Revelation, chapters six through eight. Therefore, no man can give another revelation. The horseman is a warrior that the Lord allows to go forth. The white horse does not indicate lasting peace. The white horse indicates conquering, and to conquer; and this is what the horseman will do. The horseman is not Christ or the antichrist or the false prophet; if the horseman were, St. I John would have said one of these names. The church is not to follow this horseman on this white horse with a bow and a crown. The church would be foolish to follow a horseman that is not Christ the Lord. The horseman personifies the good beginnings for man that the Lord blessed creation with; because of man's sins, sorrows are to follow. The Second Seal - The second horseman is riding on a red horse. He was given the power to take peace from the earth. Therefore, the inhabitants on the earth should kill one another. This horseman is a warrior with great ability to take peace from the earth because of the great sword. A great sword is great power. 5: And when he had opened the third seal, I heard the third beast say, Come and see. And I beheld, and lo, a black horse; and he that sat on him had a pair of balances in his hand. The Third Seal - The third horseman is a warrior riding on a black horse. He is carrying a pair of balances (scales) in his hand. A measure of wheat for a penny, and three measures of barley for a penny; and see thou hurt not the oil and the wine. This horseman will determine the measurements. It will be difficult to obtain wheat and not as difficult to get barley. Oil and wine will be readily available without unjust measurements. The Fourth Seal – The fourth horseman is riding on a pale-green horse. (The word for 'pale' is a Greek word chloros or greenish; this conveys the deathly ill and recently dead connotation.) This warrior is Death, and Hell followed with him.” Death and Hell were given power over a fourth part of the earth, to kill with a sword, and with hunger, and with death, and with wild beasts of the earth. Wild beasts of the earth are wild animals. Death is a warrior that has lost his victory. See 1 Corinthians 15: 54. His power is limited to a fourth part of the earth. 10: And they cried with a loud voice, saying, How long, O Lord, holy and true, dost thou not judge and avenge our blood on them that dwell on the earth? 11: And white robes were given unto every one of them; and it was said unto them, that they should rest yet for a little season, until their fellowservants also and their brethren, that should be killed as they were, should be fulfilled. But it was not time yet for the Lord to judge and avenge the blood of those under the altar. Many things had to take place. Then God will avenge their blood on their enemies. But white robes were given unto every one of them; and it was said that they should rest for a little season until their fellowservants also and their brethren, that should be martyred as they were, should be fulfilled. 13: And the stars of heaven fell unto the earth, even as a fig tree casteth her untimely figs, when she is shaken of a mighty wind. 14: And the heaven departed as a scroll when it is rolled together; and every mountain and island were moved out of their places. 17: For the great day of his wrath is come; and who shall be able to stand? The Sixth Seal- When Christ opened the sixth Seal, there was a great earth quake; the sun would not shine and the moon could not give light because "the sun became black as sack cloth of hair, and the moon became as blood;” and the stars of heaven fell to the earth, like a fig tree drops untimely figs, when a strong wind shakes it. The heaven departed as a scroll when it is rolled together; all of the mountains and islands were moved into different places. The kings, men of authority, rich men, top commanders, mighty men, all bondsmen, and free men hid themselves into dens and mountains. They were very afraid of the actions from the Holy One. They wanted to hide their faces from God Almighty, and from the wrath of the Lamb. They asked the mountains and the rocks to fall on them. Who on earth or anywhere can stand against the great day of the coming of His wrath? Men of greatness will experience much fear of God Almighty and the Lamb. After the Sixth Seal has been opened by Jesus Christ the Lamb, victory is coming for the saints but there is much to take place. Four angels stand on the four corners of the earth holding the four winds of the earth so that the wind will not blow on the earth, sea or any tree. And another angel comes from the east with the seal of the living God: his voice cried loudly to the four angels, who were to hurt the earth and sea. Saying, do not hurt the earth or sea or trees until we have sealed the servants of our God in their foreheads. Twelve thousands for each Tribe. A hundred and forty four thousands were sealed: The Tribes of Juda, Reuben, Gad, Aser, Nepthalim, Manasses, Simeon, Levi, Issachar, Zabulon, Joseph, and Benjamin. Then a number stood worshipping God before the throne so great and numerous until no man could number it. They have come through the tribulation and washed their robes white in the blood of the Lamb. Their suffering shall be no more. God shall wipe away the tears from their eyes. 1: And when he had opened the seventh seal, there was silence in heaven about the space of half an hour. 2: And I saw the seven angels which stood before God; and to them were given seven trumpets. 3: And another angel came and stood at the altar, having a golden censer; and there was given unto him much incense, that he should offer it with the prayers of all saints upon the golden altar which was before the throne. 4: And the smoke of the incense, which came with the prayers of the saints, ascended up before God out of the angel's hand. 5: And the angel took the censer, and filled it with fire of the altar, and cast it into the earth: and there were voices, and thunderings, and lightnings, and an earthquake. The Seventh Seal- When Christ opened the Seventh Seal, there was silence in heaven for about an half hour. Seven angels stood before God Almighty and they received seven trumpets. Another angel came and stood at the alter, having a golden censer, and much incense. The incense was offered to the Lord with the prayers of the saints. The Lord receives smoke of the incense with the prayers of the saints. The angel took fire from the alter and filled the censer, and cast it unto the earth; this resulted in voices, thunderings, lightnings and made the earth to quake. When the Six Seals, Six Trumpets and the Six Bowls are fulfilled, then the son of perdition (antichrist) shall appear. For the order of events given by Jesus Christ, see Matthew 24: 1-31; this agrees with the order of events that was given by Jesus Christ to St. I John in the Book of Revelation. For the sea beast, the earth beast, and the dragon called Satan the antichrist to appear. See Revelation 13. After the Tribulation, Jesus Christ will return. See Matthew Chapter 24: 29-31. In agreement with the Holy Scriptures and Apostolic Succession, the Holy Early Church Fathers of old (St. John the Apostle taught Polycarp. Polycarp gave the teaching to Iranaeus. Iranaeus gave the teaching to Hippolytus. ); I hold that the church will experience with victory over the Tribulation and the evil of the Antichrist here on earth. Then Jesus Christ will return for His church. When the Seven Seals, Seven Trumpets and the Seven Bowls are completed, then Jesus Christ shall appear riding on a white horse for the victory battle. Our victory will be nigh. This is the warrior the church must obey and follow. See Revelation Chapter 19:11. Jesus Christ and the saints will have the victory. For everlasting life in the Holy City, See Revelation 21. No one can relate middle eastern conflicts or events to the Book of Revelation and be totally accurate. God Almighty can see all of the past, present, and future; therefore the signs of times He holds for Himself. I do not know when the events in the Book of Revelation will be fulfilled. I do not know when Jesus Christ will return. Only God Almighty knows. The Revelation of the Seven Seals by Jesus Christ the Lamb. When James I Hicks and the Seven Seals Singers sing about each Seal, we are thinking how our Lord and Savior Jesus Christ will finally return riding on a white horse, and victory will be the greatest and everlasting. This is time to shout, dance and rejoice greatly. This summation is written for the benefit of the Seven Seals Singers and all interested persons. Holy Scriptures: King James Authorized Version of 1611. For reference: The Holy Bible 1611 Edition King James Version & Apocrypha.